We are happy to donate our time and resources to help our community. We especially love organizations that help make Cincinnati a better place to live. If you know of a local organization that could use our help, click here to nominate them! Thank you to the incredible volunteers and to the brave citizens of Texas. 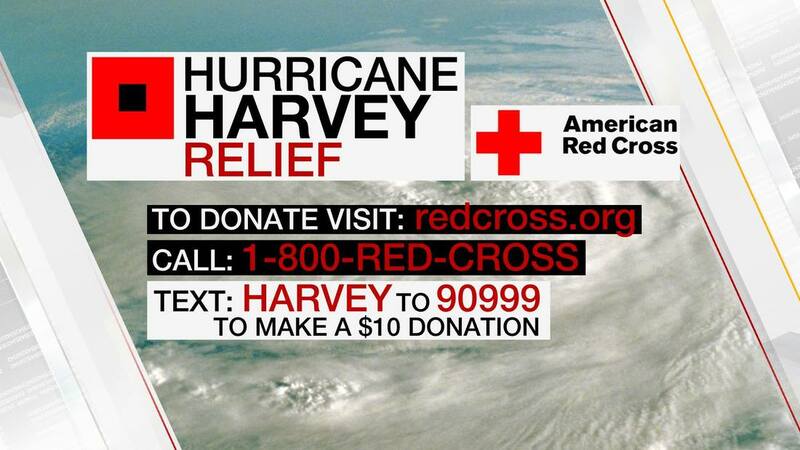 Next Gen Cabling is proud to support relief efforts by donating to organizations such as the American Red Cross. To our fellow Americans in Texas, thank you for reminding us how united this country truly is. Our thoughts will continue to be with all those affected. We were happy volunteer our time at this wonderful organization this month! Matthew 25: Ministries is an international humanitarian aid and disaster relief organization helping the poorest of the poor locally, regionally, nationally and internationally regardless of race, creed or political persuasion. By rescuing and reusing products from major corporations and manufacturers, Matthew 25: Ministries provides basic necessities, nutritional supplements, educational materials, micro-enterprise supplies and disaster relief across the US and worldwide. Habitat for Humanity is a nonprofit organization with a strong presence in Cincinnati. They have more than 1,400 local U.S. affiliates and over 70 national organizations around the world. With the help of volunteers, they have helped build and repair over 1 million homes and serve over 5 million people worldwide since 1976. The Cincinnati Museum Center is one of Cincinnati's iconic landmarks. The train station at Union Terminal has been in operation since the 1920's, and continues today. Visitors of all ages can enjoy the Cincinnati History Museum, The Museum of Natural History & Science, and the Duke Energy Children's Museum. The center also offers several amazingly successful Youth Programs. With the holiday season upon us, Next Gen Cabling is happy to be part of the Panther Backpack Program. Ohio exhibits the third highest national average of food insecurity at a rate of 16%. With each donation to the cause, a child will receive nutritious meals to enjoy at home. Please take a moment to visit the Panther Backpack website to see how you can get involved this holiday season!